One of my photographer friends recently pointed out to me that my style has changed recently! Upon reflection, I would have to partially agree with him. My preferred style was predominantly photojournalistic, however once in awhile in every photographer’s life he/she gets somewhat burned out and bored with the usual type of shooting and looks for something new! This has happened to me on many occasions. This friend, an extremely creative 80+ year old former Art Director for a major corporation, noticed this change and brought it to my attention. I was cognizant of it trying recently to learn to be more creative in my shooting from two coworkers, both fantastic photographers in their own right! Interestingly these two coworkers and friends approach their creativity in two different ways, one thru shooting and compositing in Photoshop, and the other thru shooting with a different tool, the Lensbaby, a lens that provides a clear point of focus and blurs the rest of the photo. Both photos today were produced using the Lensbaby. The first photo above was shot with the Lensbaby Edge 80 Optic, a tool that gives a slice of sharp focus, in this case across the bottom of the lamp and diagonally down across part of the newspaper. 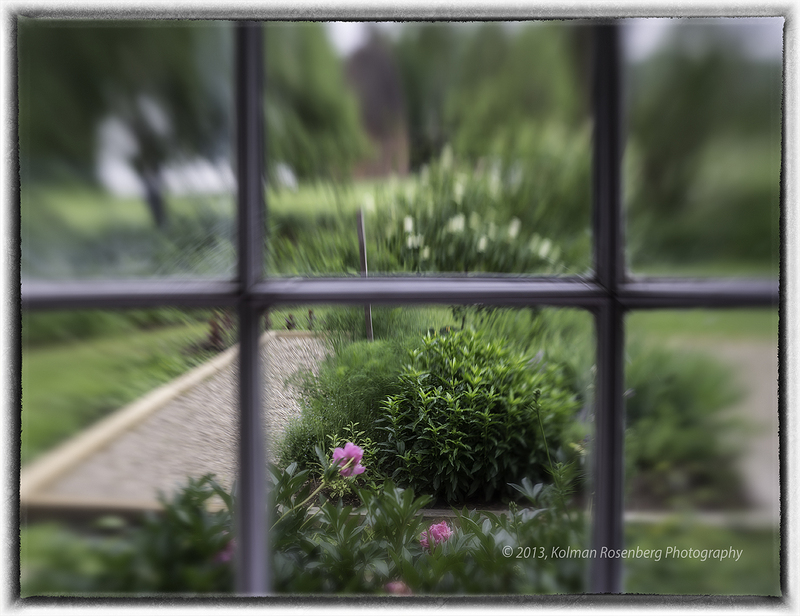 The second image was shot with the Lensbaby Double Glass Optic. This tool provides a single circle of focus that can be positioned anywhere in the photo. I chose the bottom middle windowlight, where several flowers popped with color. My artist’s statement says; The camera serves as a portal for me to view common sites in an uncommon way. It enables me to see, and point out to others, the beauty, irony, interest, humor and sometimes the ugliness of the world we live in. I hope my images bring a realization to others that common things in life are often worth more than a glance, they are often worth a second glance. Reading it I realized that it still fits! 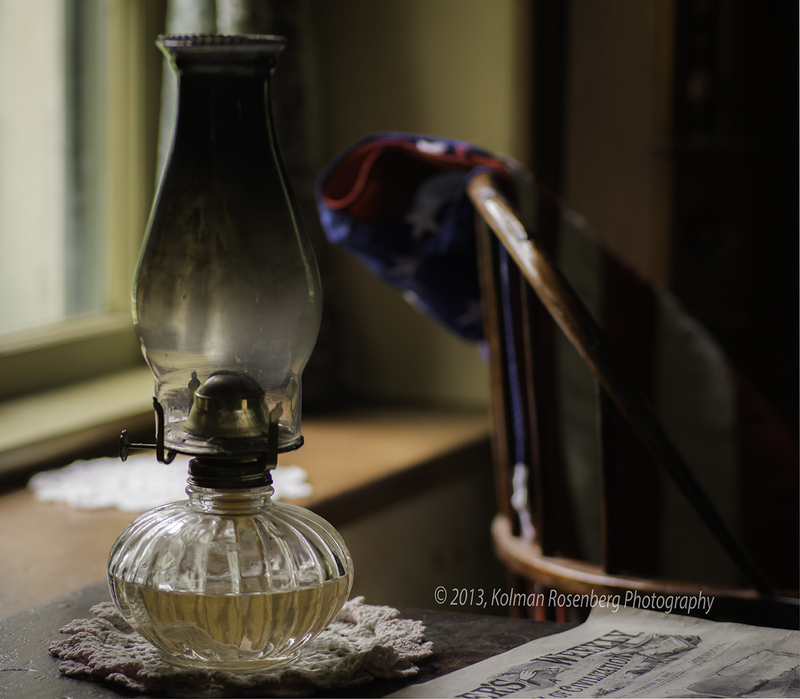 My subjects and tools may have changed, but my photographic intent still fits. It’s been a nice journey using both techniques (Photoshop and Lensbaby) to see thru new eyes and I believe it may stick with me as part of my never-ending development as a photographer. This entry was posted in Uncategorized and tagged American Flag, artist, artistic, creative, creativity, flag, lamp, Lensbaby, light, photography, photoshop, statement, window. Bookmark the permalink. These two photographs do provide a different point view of the subjects. A good lesson in technique and very nice photographs. Thank you for sharing.